When evaluating prospective InfoSec candidates, employers frequently look to certification as an important measure of excellence and commitment to quality. Here are the top information security certifications of 2018. CISSP is currently granted by the International Information System Security Certification Consortium, also known as (ISC)². CISSP covers all the domains of security ranging Risk Management to Security Operations. To become CISSP certified, there is a requirement of having a minimum of 5 years of experience in two or more information security domains of (ISC)². The certification is aimed at the people who have relevant technical and management skills. CISSP is valid for 3 years and can be renewed by meeting the required number of CPE (Continuing Professional Education) points. Being a CISA certified establishes the fact that you have knowledge and experience in the above-mentioned domain. CISA is recognized globally and the recertification can be done by submitting the required CPE points with ISACA (Information Systems Audit and Control Association). The CCFP certification offered by (ISC)2 indicates expertise in forensics techniques and procedures, standards of practice, and legal and ethical principles to assure accurate, complete, and reliable digital evidence admissible in a court of law. It also indicates the ability to apply forensics to other information security disciplines, such as e-discovery, malware analysis, or incident response. CCFP addresses more experienced cyber forensics professionals who already have the proficiency and perspective to effectively apply their cyber forensics expertise to a variety of challenges. In fact, many new CCFP professionals likely hold one or more other digital forensics certifications. GPEN is a certification which is specially designed for professionals whose job role includes vulnerability assessment, Penetration testing, and ethical hacking. As any other GIAC certification, this certification is also completely based on the practical and hands-on experience of the aspirant. It widely covers the various aspects related to Penetration testing, including the legal challenges around penetration testing as well. 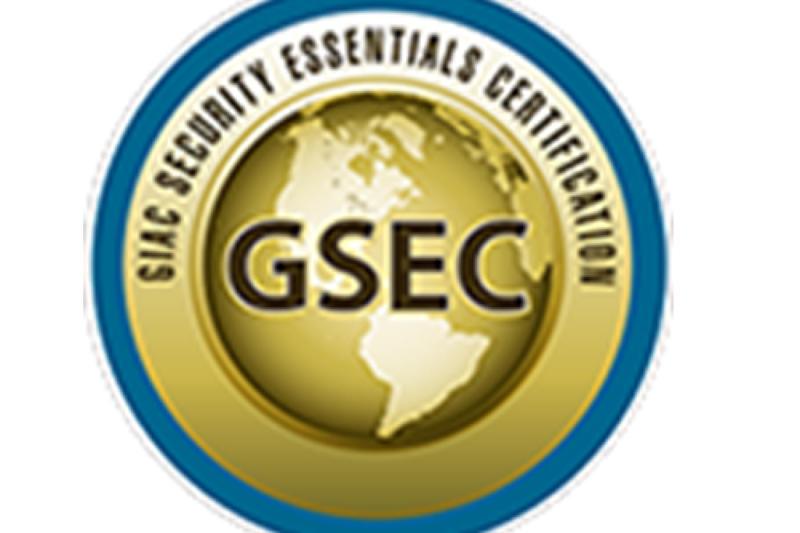 GSEC is an intermediate level certification from GIAC, targeting the security professionals with excellent hands-on skills with respect to the security tasks. There is no specific training or course material as such, because the certification is completely focused on the practical experience of the aspirant and hence establishes the credibility of the professional, once certified. GSEC is valid for 4 years and needs to be renewed after that. What do you think about these certifications? Comments welcome.